At the ongoing Shanghai Auto Show, Chevrolet has unveiled a futuristic autonomous electric car - something out of science fiction - to woo young Chinese buyers. The 'Find New Roads' (FNR) concept car is a reaffirmation of Chevrolet's dedication to explore the possibilities of autonomous technology, and to offer electric vehicles that meet the demand of the modern day tech savvy consumer. The FNR was developed through a joint venture with GM's Pan Asia Technical Automotive Center and China's SAIC Motor. According to Biometric Update, the FNR car uses sensors, which monitors the driver's biometrics and can switch the vehicle to autonomous mode if it is detected that the driver may be fatigued. Apart from a flashy "dragonfly dual-swing doors," the FNR car offers the driver the ability to either choose to drive manual or in autonomous mode. It also has magnetic, in-wheel electric motors, which can be changed wirelessly, Automotive News reported. The FNR car has sensors and a radar mounted on the roof which maps the route for the driverless operation. Additionally, the front seats can be turned 180 degrees to face the back seats. The FNR car "reaffirms Chevrolet's commitment to offer electric vehicles that meet customers lifestyles," Global Chevy chief Alan Batey said during the introduction of the car on Sunday night. Chevrolet has set a goal to sell 1 million vehicles in China by 2020 and experts say its FNR car is a step to achieving that target. Batey also added that the technological capabilities of the FNR car is "just the start of our efforts to meet the transportation efforts of the future." According to Batey, Chevy plans to release 10 new models for the Chinese market within a few years. It has been 10 years since Chevy entered the Chinese market and the company is reportedly planning to ramp up its sales. 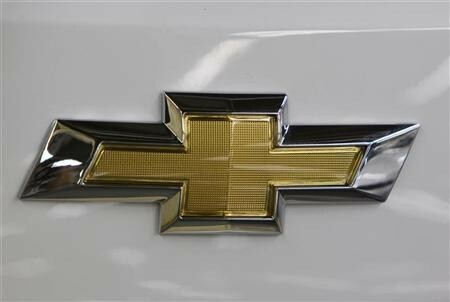 Last year, Chevy came seventh place among all auto brands in China after selling 767,484 vehicles in the country.